Learn about PublicLegal Forms's free online legal forms archive for small businesses. Includes info on PublicLegal Forms, free trials, pricing, and reviews. 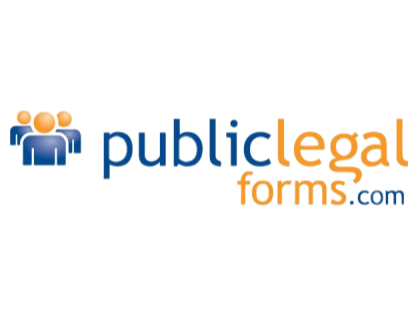 PublicLegal Forms is an online archive of free legal forms. The 2,000+ forms cover both business and personal legal requirements. For business, there are forms for buying and selling, credit and collection, employment, leases and real estate, and protection of legal rights. PublicLegal Forms forms cost $9.99 to download in a formatted Word document or PDF. An immediate fax-on-demand costs an additional $2.99. Pros: Free access. Affordable downloads. Wide range of forms. Cons: Customer support not good. Website difficult to navigate. Bottomline: PublicLegal Forms is a good starting point. Access to the forms is free, but very few of them are free to download. There is no recent PublicLegal Forms news or activity to report at this time. Is there a PublicLegal Forms free trial? PublicLegal Forms offers free access to the archive of legal forms. Where can I find the PublicLegal Forms login? The PublicLegal Forms page does not have "login" facilities. What are some PublicLegal Forms alternatives?